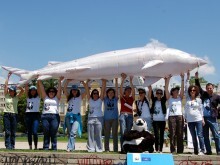 Eight companies – four in Bulgaria and four in Romania – have signed WWF’s Code of Conduct on sturgeon protection. This way they commit to comply with existing national, EU and international legislation, as well as with the best business practices. The code is a self-regulation tool that aims to improve the companies’ transparency and increase their reputation with customers, institutions and investors. The document is not legally binding, but it is a first step to involving farms in WWF’s programme to protect sturgeons from poaching and illegal trade – among the main reasons for sturgeons being the most critically endangered species worldwide. WWF will be a point of contact for the companies if they need additional information on sturgeons. 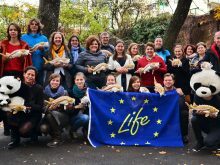 Engaging Bulgarian and Romanian companies, institutions and civil society in sturgeon protection is critical for the survival of the species because the Lower Danube and the Black Sea are home to some of its last wild populations in the European Union. The commitment of aquaculture farms to sturgeon protection is particularly important because farms can satisfy the demand for caviar without putting a pressure on wild populations. Moreover, aquaculture companies have a business interest in preserving wild sturgeons because the long-term viability of their farms depends on the possibility to refresh the genetic pool of farmed sturgeons with wild populations. At the moment, catching sturgeons is still prohibited in both countries. 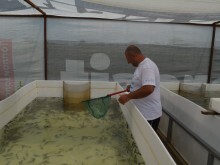 In Romania, exceptions can be made for scientific purposes and aquaculture breeders, but scientists and breeders make sure that each fish is handled and released back to their native waters without harm to it. 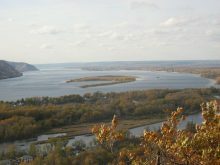 One of the commitments the eight companies made to WWF by signing the Code of Conduct was to prevent the release of hybrid sturgeons in the wild, or sturgeons that do not originate from Danube. 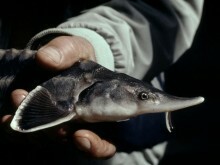 This is important in order to preserve the natural genetic makeup of Danube sturgeons. 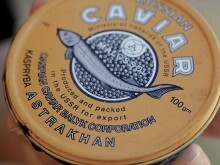 Another important commitment the companies made was to inform their customers of the benefits of CITES labels that make caviar production traceable – from the egg back to the farm and the sturgeon female it came from. 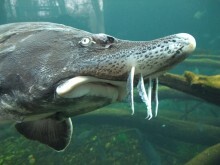 CITES labels are mandatory for caviar from all sturgeons. They identify the species and its origin – wild or farmed — as well as the country of origin, the year of production or repackaging and the farm it came from. By communicating this, companies will make consumers aware of the importance of labeling and the acute need for sturgeon conservation, while also gaining better credibility for being transparent. 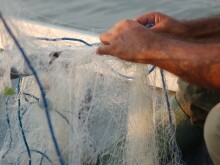 Although important for EU wild fish populations, aquaculture production in the EU is still not sufficiently developed. The EU is a big consumer, but a poor producer of farmed fish – it provides about 1.5% of global production. Also, only 24% of the fish consumed in the EU comes from aquaculture, while globally about half of all the fish we eat is farmed.